Ashihara Karate was founded by Hideyuki Ashihara out of the need for a more practical means of fighting and self-defence. It is a method where anyone, with a certain amount of effort, can overcome an opponent, even if it means going against someone who is bigger and stronger. This is achieved through the use of scientific logic and practical strategies in combat, instead of relying solely of sheer speed or brute force. Rationality is what sets the Ashihara system apart from traditional martial arts methods. Straightforward, directly applicable techniques are preferred over rigid, unnecessary forms and moving around the opponent is emphasised, rather than meeting the attacker/s head-on. 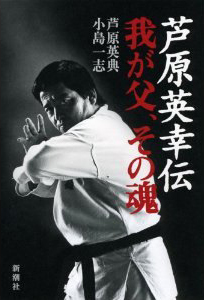 The cornerstone of Ashihara Karate lies in its unique adaptation of 2 concepts – Sabaki and Fight Control. Sabaki refers to moving the body into positions of maximum advantage (e.g. the blind spot), while Fight Control is the practice of manipulating the opponent using controlling techniques, without necessarily inflicting injury. Mastery of these concepts allows the practitioner to neutralize an attack, while limiting the aggressor’s ability to counterattack effectively. Overall, Ashihara Karate promotes improvement through enjoyment. It is a lifetime endeavour where the weak and strong study together as equals, as they compete, teach and help each other to advance step-by-step, without being debilitated by unnecessary injury, often caused by reckless training and unrealistic expectations. Only this way can students be persistent in their pursuit of karate, while having fun and continuously improving. Therein lies the pleasure of studying Ashihara Karate. “PICTURE a fight which people clash head-on, making no attempt to block the opponent. Clearly the man with the longer reach will be the first to get in his punch, while the one with greater power only has to throw in his body weight to win. “Too many karate methods are like this- reckless, giving no thought to defense. In the days where karate was first devised it might have been acceptable to meet head-on and start punching away, but times change and we can no longer afford to do that.